OMG! Amy, I just saw this on Donna's blog! Just incredible! Those pens are MAGIC! I told you I loved them. I just saw this on Donna's blog, and commented over there that my holder & sets of mini gel pens arrived in my mailbox yesterday. I'm hoping to find a little time to play today...my son had his tonsils/adenoids removed on Friday, so understandably, my time's been pretty much monopolized with caring for him. 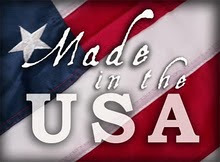 My husband asked what I got in the padded envelope, so I showed him, and told him all about them, and we're both overjoyed with supporting a "made in the USA" product! Thank you to you & your husband!